The spectacular opening ceremony that marked the Burj Khalifa’s appointment with history is now receding into memory, but the sense of anticipation has only started to build up for the home and office owners in the skyscraper. It will take a few more months for the handover to finish due to the sheer scale and complexity of the tower — the 828-metre height is only part of it. The 144 Giorgio Armani styled Armani Residences — coming in one- and two-bedroom formats between levels nine to 16 — will be ready this month. In March it is the turn of the 900 ‘Residences at Burj Khalifa’, comprising studios, one -, two -, three – and four -bedroom apartments occupying floors 19 to 108. The Land Department has been working with Emaar on the substantial task of transferring the title deeds to the owners. “We currently (as of January 10) have 493 units in the process of registration,” confirms a senior official with the Land Department. Eventually, 12,000 or so people will inhabit the tower, and they will, rightly so, be among the first to take a peak at the elegant interiors. The designer responsible — SOM’s Nada Andric — used timber, polished dark stones, silver travertine flooring, Venetian stucco walls and handmade rugs to make a statement deserving of the Burj. Over 1,000 pieces of artwork highlight the Middle Eastern and international co-operation that went into its making. Who is moving in is still a closely guarded secret. An Emaar spokesperson explains that the developer is bound by contractual obligations not to reveal any details. “Some customers have made purchases using mortgages from financial institutions and banks,” the official reveals, adding that 90 per cent of the freehold office and residential space in Burj Khalifa has been sold. Some offices are being fitted out as per buyer specifications. The Corporate Suites are also to be handed over from next month. They occupy floors 125 to 154, the latter winning the world record for the highest habitable floor at over 570 metres. The Burj though counts 160 floors, leaving the last six unaccounted for. More commercial space, in the form of ‘The Offices’, take up a 12-level annex with direct access to the Burj and the Dubai Mall. The 160-room and suites Armani Hotel, occupying the concourse up to level eight as well as levels 38 and 39, will open on March 18. 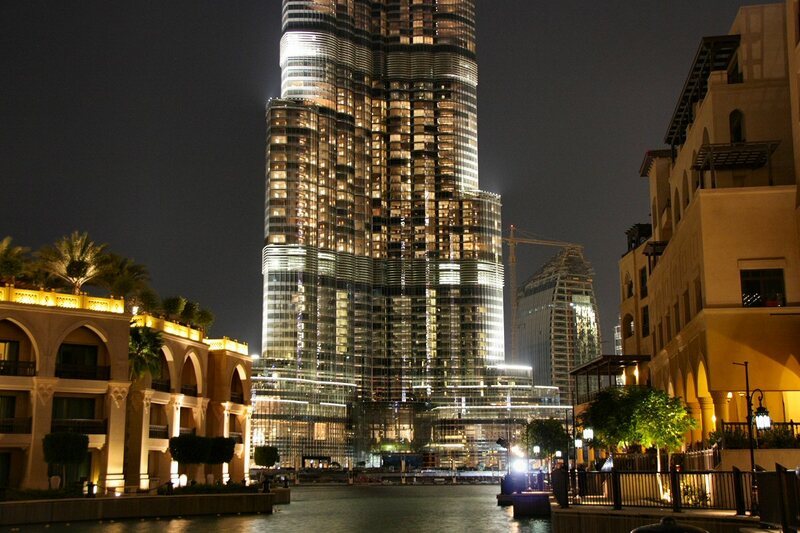 The Burj can be likened to a ‘vertical’ city. It requires 57 lifts, incidentally designed to cut energy use by half, to service the different areas directly with sky lobbies functioning as ‘interchanges’. They will also offer meeting spaces and fitness facilities. Over 12,000 people were on-site on a daily basis to make this around six million square feet development a reality. About two million square feet, plus the Armani Residences, is dedicated to residential and over 300,000 square feet to offices. Other spaces, such as ‘The Club’, also open to the public, houses a large health centre, while the Armani Pavilion is an outdoor entertainment venue. There are four swimming pools, including the highest in the world at 260 metres on level 76. A cigar lounge, library and a restaurant fittingly called ‘At.mosphere’ on level 122, further flesh out Burj Khalifa’s attractions. A Gourmet Market looks after the social and essential needs of residents. And surrounding the Burj is an 11-hectare park with some eye-popping water features. The eventual height of Burj Khalifa was the subject of much speculation all through its evolution. The spire, which houses communication equipment, can be seen from 95 kilometres away. “Breaking the world record had nothing to do with [appearances] but with the human mind and optimism, reflecting the heart and soul of the city,” says Mohammad Al Abbar, the Emaar chairman. Having gone past the completion phase, the Burj need not be too concerned about that. Al Abbar declared that the Burj has already made a 10 per cent return (on sales). The residences are still valued at about Dh3,500 per square foot compared with the launch price of about Dh2,000. Still, those who bought at the peak of Dh7,000 a square foot and above will not be able to sell right now. “However, most, especially if they have the cash, would want to keep it,” says Nizar Al Aswed, director of corporate and legal affairs at Halcon Real Estate. That seems a perfect sum up, as ‘making it’ is exactly the kind of sentiment the Burj will want to be associated with. 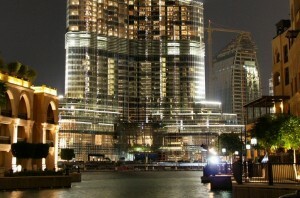 The Burj’s complex nature requires the setting up of multiple owners’ associations. One can easily imagine that the maintenance of the elevators and the façade, taking four months to clean in its entirety, will attract high service fees. And they will be decided via the homeowner committees in line with Real Estate Regulatory Agency (Rera) directives. As for the offices, “I would expect the sort of companies to move in would be those from destinations like Canary Wharf, big international corporations and government institutions,” says Ronald Hinchey from Cluttons. “A lot of trophy towers around the world show below market yields for investors or government owners, but they improve the value of the destination.” A point Emaar is only too aware of. The developer’s managing director, Ahmad Al Matrooshi, notes that the economic spin-offs will benefit multiple sectors, from tourism to retail, in the UAE. Burj-Khalifa.eu is unoficial website. We provide you with the latest breaking news and videos straight from the Burj Khalifa events and attractions.